Are you looking for an amazing restaurant kitchen management career with growth potential - we currently have an opportunity for a Restaurant Kitchen Manager. This Full Service Restaurant Concept has hundreds of stores across the United States and we are aggressively expanding into newer markets. The key to our success has been hiring and developing talented Professional Restaurant Kitchen Managers and offering more room for career advancement than most of our competitors. If you are looking for a restaurant kitchen management career with tremendous growth potential, apply today! Our Restaurant Kitchen Manager is responsible for a variety of duties and responsibilities including overseeing the entire operations of the restaurant’s kitchen. The Restaurant Kitchen Manager supervises the kitchen staff and makes sure they are performing their duties appropriately. The Restaurant Kitchen Manager must also make sure the kitchen area meets health and safety requirements, as mandated by law. 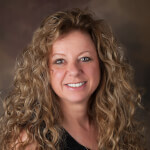 Joan Koelbel, CPC and Franchisee for Gecko Hospitality has many years in the Hospitality industry. She joined Gecko Hospitality in 2002 and currently owns and operates a franchise for the states of North Carolina, Virginia and Washington DC markets. The staffing of the management teams for restaurants and hotels includes existing operations, turn-around situations and new store openings. She is a member of the President’s Club and consistently a top producer year after year. We are recruiting with results! Joan’s prior work with the Board of Directors of NAPS, National Association of Personnel Services was instrumental in her career. She has been a very active member on NAPS for years supporting and advocating for the Credentialing Committee, Bylaws and Ethics, Membership and is very engaged in the annual conferences. She is a member of many hospitality organizations and active in the community.